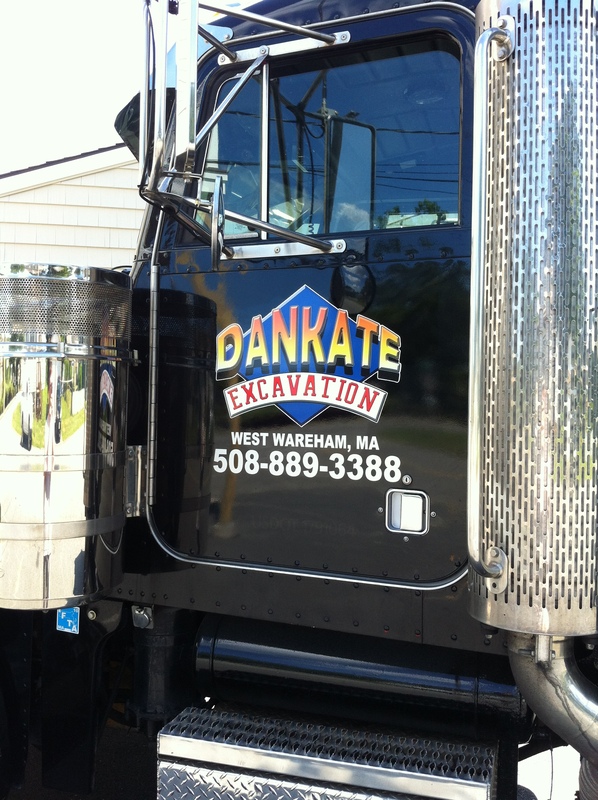 We designed this logo, had it printed on vinyl, and applied it to this truck! This dump truck now stands out and is easily recognizable. Also it works great as a rolling advertisement. Let us help you get your business noticed on the road.